Managing Content has been a challenge for all types of organizations. Managing content is an opportunity to help companies better leverage their information and to gain new insights into their business. 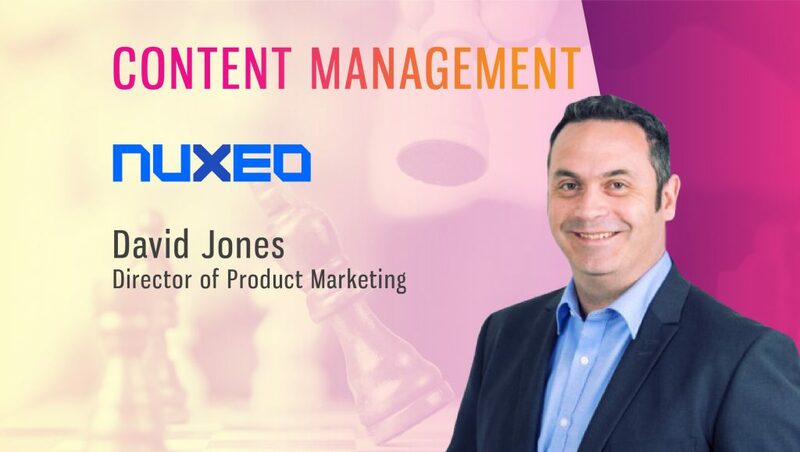 We spoke to David Jones, Director, Product Marketing, Nuxeo, to understand how their content service platform could benefit companies handling large amounts of data and how their offering helps with GDPR compliance. Tell us about your role at Nuxeo and the team/technology you handle. My role at Nuxeo is to lead the Content Services and Industry Product Marketing team. That covers both the product marketing for the Nuxeo content services platform and the related industry-specific focus that we have for verticals such as financial services and government. What is the role of content services in digital transformation in B2B parlance? Content services and more broadly Content Services Platforms (CSP) play a critical role in digital transformation. The fundamental part of digital transformation is the management and exploitation of digital content – that is exactly what a CSP does. Think about the challenges that drive organizations towards digital transformation projects: disconnected information stores within the business, no single view of the customer/citizen/partner/supplier, outdated and slow manual processes. Content Services Platforms are built specifically to intelligently connect information silos throughout your business. They are designed to deliver context-based views of your information and processes to enable and streamline how you work with your key stakeholders – be they customers, citizens, partners or suppliers, and they do all of that in a digital manner – a manner that can lift an organization out of the drudgery of manual (and often still paper-based) processing. 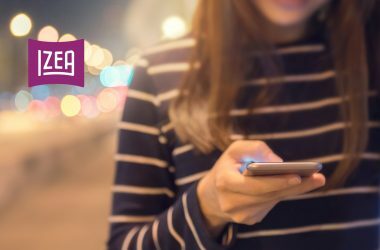 How do you leverage content marketing tools to create relevant Product Recommendations and B2B connectivity? Content marketing is key when promoting Content Services Platforms. By definition, a platform is something that can be built on, and often-times the foundation for a completely unique solution for any given enterprise. As such, there are always multiple stakeholders, all at various stages of education and awareness about what a CSP can do, what benefits it can provide, and how it can relate to their specific business challenges. 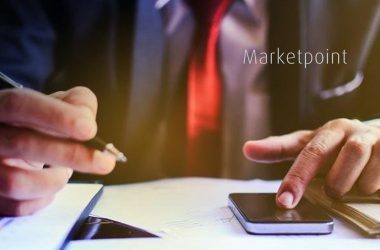 The multi-tiered, multi-pronged approach characterized by content marketing suits this perfectly, allowing various types of content assets to be deployed, engaging people at the particular stage of the buyer journey that they are at, any allowing nurture to take place at multiple levels throughout. In addition, the content that we are creating to “fuel the funnel” is also resonating with the multiple B2B personalities we sell and market to. Consultants, value-added resellers, even competitors are using our thought leadership content as resources that they can share and pass on. How is ECM helping businesses prepare for GDPR? GDPR is all about managing and protecting personal information. In my opinion, far too much time and effort has focused on the security part of this conversation – beefing up firewalls, ensuring only the right people have access to the information, etc. While this is a very important part of the puzzle – it is only a part of that puzzle. Managing information is again exactly what CSPs do, which make them an ideal solution for addressing GDPR requirements. 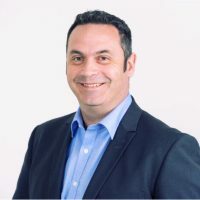 One of the major challenges within organizations is the inability to get a single view of the customer – or to connect the disparate data and content sources within the business together. This is ultimately a failing that GDPR will highlight – rapidly. One of the key parts of GDPR is the right for any individual to request all of the information that an organization holds on him or her. This is called a subject access request (or SAR). Can you imagine how difficult answering that request is going to be if the information systems within an organization are not connected in a coherent and manageable way? By using a CSP to both connect and structure the multiple repositories within a business, not only are you identifying all of the places where personal information is stored, but you can also provide a very simple and easy to use interface on top of that to manage SARs. But without a connected information infrastructure – good luck! Which marketing technologies fascinate you the most? I love technology, so any new gadget or gizmo attracts my attention, but from a marketing perspective I think augmented reality (AR) holds so much potential. As someone who simply gobbles up information on anything, having instant access to related information on a TV that I’m looking at in a store, or the caloric value of a pizza I’m about to buy is intriguing. But the real intrigue comes when I think about how clever marketing could be deployed. “Would you like an HDMI cable with that TV sir,” or, “We offer a low cal pepperoni option too, sir.” The options are mind-boggling. And despite my B2C examples, B2B is equally ripe for picking, in my opinion. What is the one message that you want to share with other Product Marketers in the tech industry? For me, the biggest thing that I have learned throughout my business career is that despite being called “product” marketers, the last thing we should be talking about most of the time is product. People are interested in hearing stories, ideas, thoughts, even jokes sometimes – but rarely are they interested in products. Until, that is, they are interested in the product. At which point you need to make sure that everything you’ve been waxing lyrical about in the non-product commentary, is something you can actually deliver on!